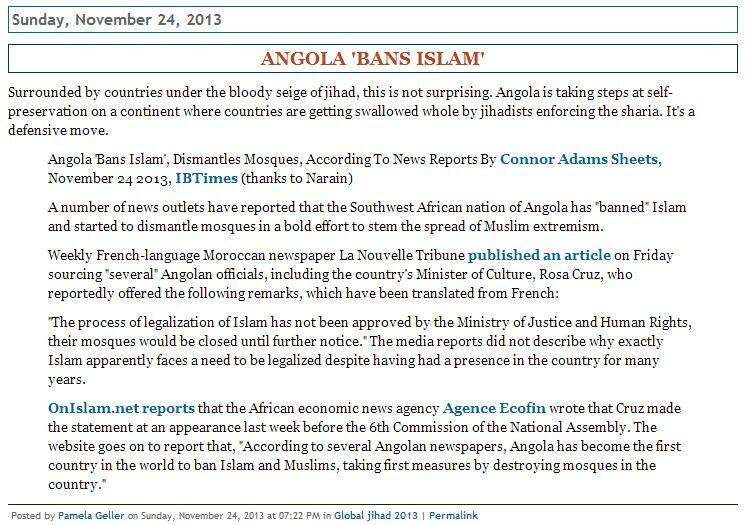 “… no one who is committed to the freedom of conscience can support such a ban, although the Angolans and everyone else are certainly within their rights to ban and work against elements of Sharia (or any other system) that contradict universal principles of human rights”. But Spencer’s first response was that he did support the ban, as can be seen above. Now, it appears, he’s had second thoughts. His friend Pamela Geller also seems to have had a change of heart. 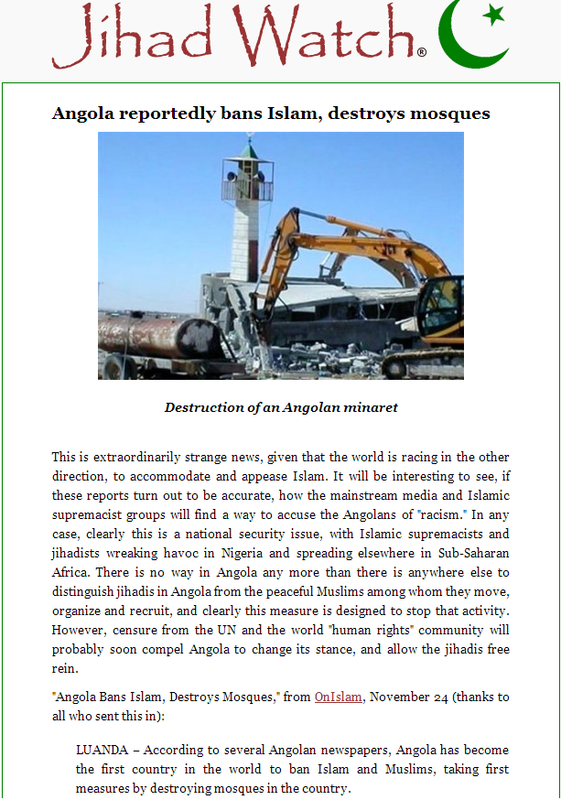 Her initial reaction was to endorse the Angolan government’s reported act of repression: “Angola is taking steps at self-preservation on a continent where countries are getting swallowed whole by jihadists enforcing the sharia. It’s a defensive move.” But she has now added Spencer’s latest statement saying a ban couldn’t be supported.